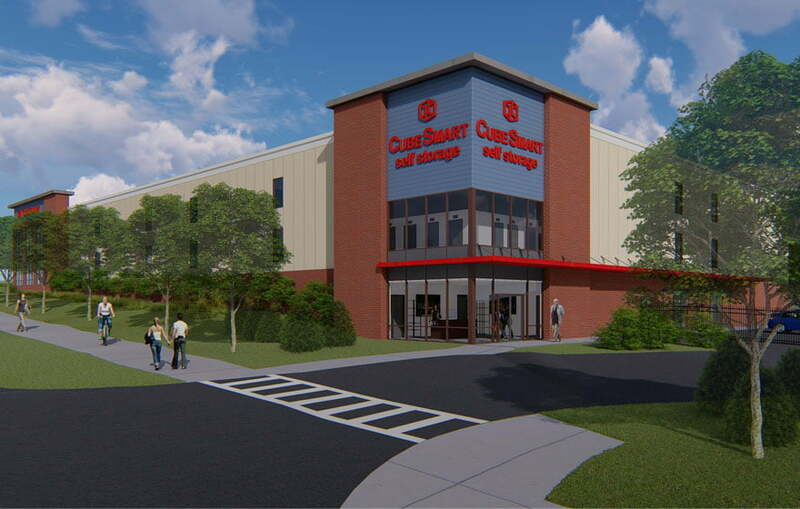 A 150,000 SF CubeSmart storage facility has been proposed for a site located on Washington Boulevard in Elkridge, MD. Because the site is on a busy corner with dramatic grade changes, the goal in designing the building footprint was to take advantage of the increase visibility at the corners of the site while staying within the existing setbacks. During the Design Development phase, RPH created renderings, elevations, and conducted a code study for the Howard County Design Advisory Panel (DAP) review. DAP approval has been obtained and the next phase, construction documents, is slated to begin soon.